Note: the artefacts and works of art in the FSP Collection will appear progressively on this site in the respective sections. The FSP collections include 3000 works of art and artefacts from extra-European countries. These works are the expression of the Founder’s interests, developed during forty years of professional activity, the sign and sense of his ethno-anthropological research and studies, a trace of his travels and of his chance meetings that have become sincere friendships and solid collaboration. In the spirit of FSP, the collections increase with new acquisitions, donations and deposits. A composite section. There are items that document, in the possession of heirs, the existence of significant collections of work that would otherwise have been dispersed: such is the case of the 700 scenography projects by Virgilio Marchi for Italian cinema, between 1935 and 1959; or the 300 drawings and oils by Carlo Belli, since the thirties the theorist of abstract art as to Kandinsky; or again the xylographs and plastic sketches by Renato Di Bosso, a futurist from Verona. There is work that attests the production history of artists with whom the Founder shared a large part of his career, such as Emilio Isgrò and Franco Vaccari, or of those he thinks have not been adequately appreciated such as Wladimiro Tulli and Giuseppe Desiato. And again, works that are witness to his commitment to the promotion of innovative production, as is the case for artists from China, Russia and Africa. The collection of these artefacts started in the year 2000, when he went to Yakutsk, a city in North East Siberia, capital of Sakha-Yakutia, for a convention on Shamanic Studies at the invitation of Mihály Hoppál, president of the International Society for Shamanistic Research (ISSR). For the first time he makes contact with Siberian shamans and acquires some of the items that make up their ritual equipment: costumes, drums and other "paraphernalia". After this he made many journeys not only to Siberia, but also in Russia, China, Mongolia, Korea and Alaska, continuing his studies of these topics and increasing his collection with items acquired both directly from Shamans and from the local antiquities market. This collection derives from a chance meeting in 2001 with Herman Vahramian: an intellectual and artist of many interests, born in Teheran of Armenian parents, but an adopted Milanese since the fifties, where he died in 2009. Founder in 1977 of the Institute for research on non-dominant cultures (I/Com), Vahramian, still active the Galleria Contemporanea Arti e Culture in Milan, proposes an exhibition of Persian folk art belonging to an Armenian collector. The exhibition was at the Castello di Belgioioso, in Pavia, in 2003. The collection was acquired in stages in the following years, and augmented with acquisitions from antiques dealers and at auctions. For these two collections, the mentor is Enrico Mascelloni. 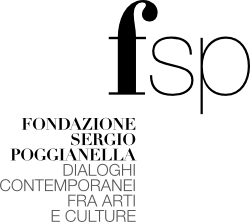 An independent Curator of books and exhibitions, writer, traveller, his great passion for non-western artistic production and for textiles has motivated and guided Sergio Poggianella since 2001 towards new collector interests. In his company, journeys in Pakistan, Uzbekistan, Kazakhstan, Kirghizstan, Xinjiang, China and Mongolia have allowed the creation of a significant core of nomadic felts, of carpets with representation of the world and of cities, of the so-called “war rugs” and of those with portraits of powerful men. The original core collection since 2003 has increased with a large addition of textile and ceramic items produced during the years of the Cultural Revolution in China with portraits of Mao Zedong and Lin Biao; from nomadic culture, recently a yurt dating from the 1940s was acquired, with furnishings. Bamana marionettes and masks from Mali, Gelede masks from the Yoruba kingdoms (Nigeria, Benin, Togo), Baule colon from the Ivory Coast and fetishes of various origin: artefacts from the last century, some older some newer, all of great anthropological interest as they witness to the strong relationship between traditional African art and contemporaryart. About 300 African artefacts, from both the antiques market (such as the Bamana masks) and from tourist sources (such as the Baule colon). These were made in 2003 by Vasil Dimitrov, one of the masters in Bulgarian Kukeri rites, met during the "masked winter fertility rites" at Yambol that year. Sergio Poggianella expressly asked him to produce these masks, for their documentary value with respect to an ancestral tradition that links countries from the Balkans to the Alps, with strong similarities with what we know as the "carnival" in Trentino.